Star Wars Battlefront’s dogfighting mode, Fighter Squadron, has been officially revealed. EA has just shown off the full gameplay for Fighter Squadron, Star Wars Battlefront’s newest mode. The multiplayer mode pits 20 players against each other in battles that go from the highest altitudes to very tight near-surface skirmishes. X-Wings, A-Wings, TIE Fighters, and The Millennium Falcon are all seen playable, with the Falcon appearing to killstreak. The rounds will also have 20 additional AI fighters to add to the scale. The demo below took place on the planet Sullust, which hasn’t been explored before. 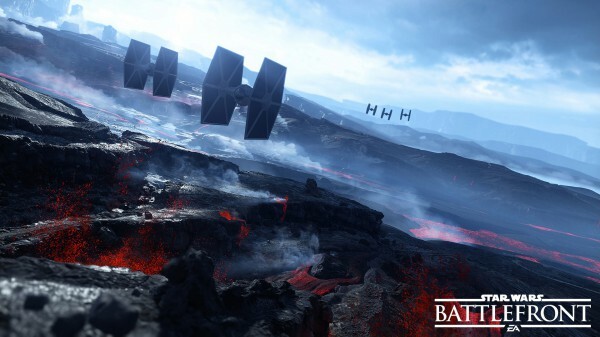 via Gamescom 2015: Fighter Squadron gameplay from Star Wars Battlefront | VG247.